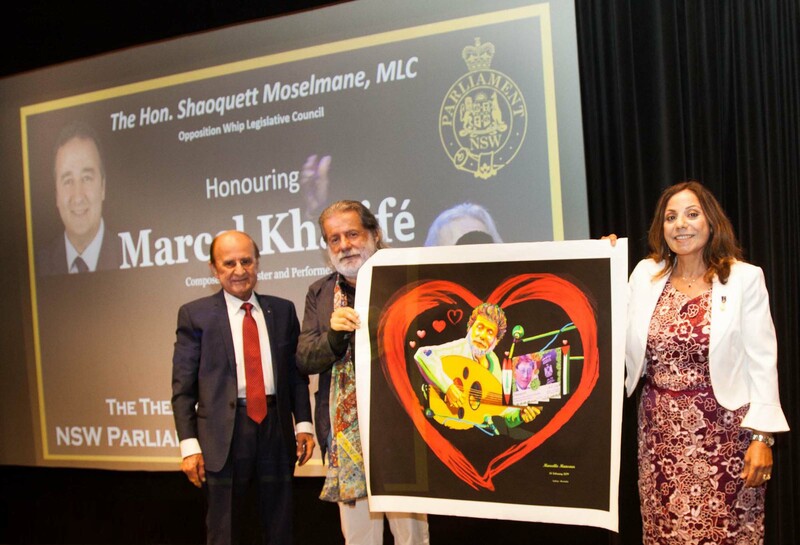 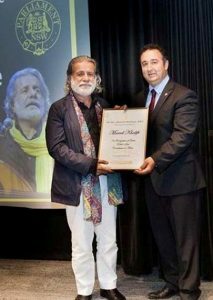 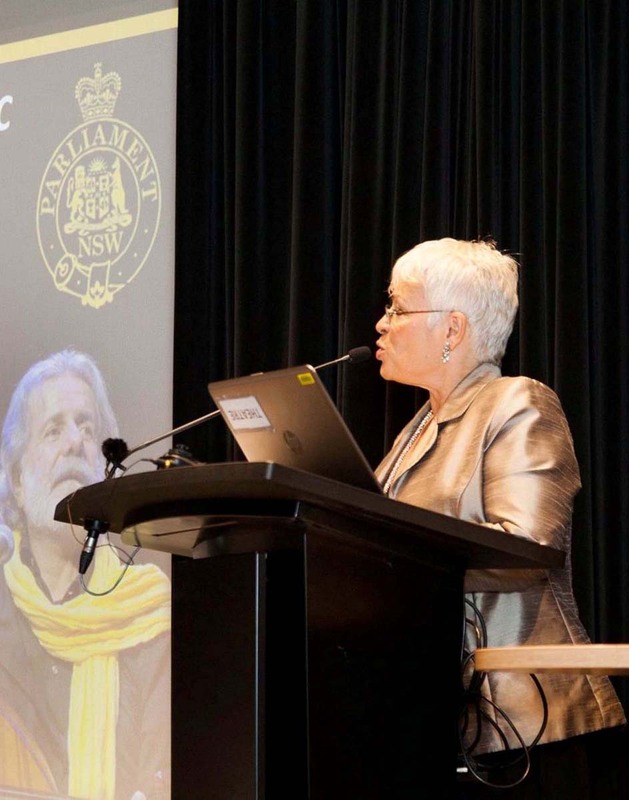 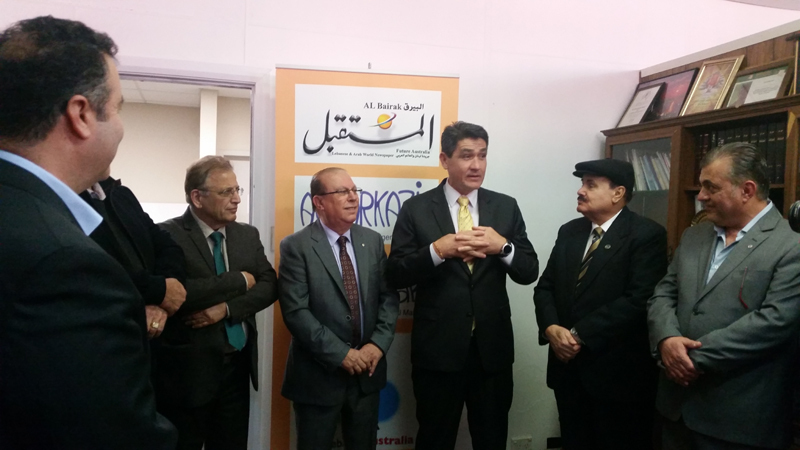 Senator Shaoquett Moselmane MLC Honours the eminent Marcel Khalife, Composer, Singer, and Oud Player. 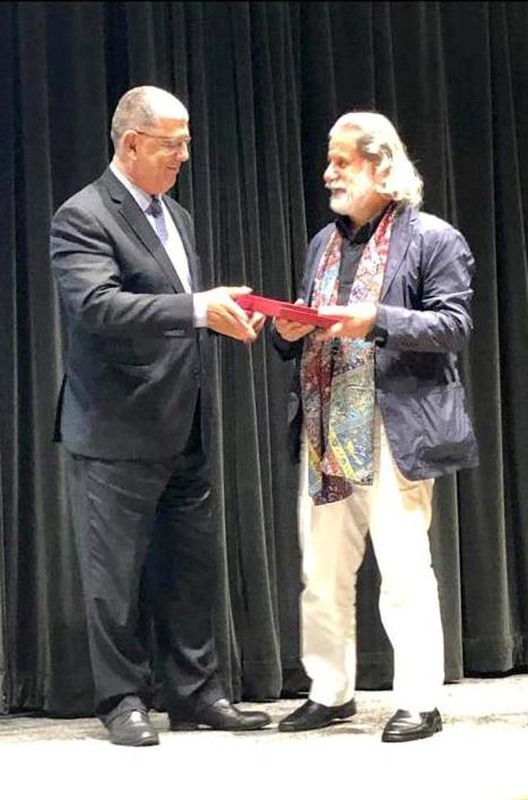 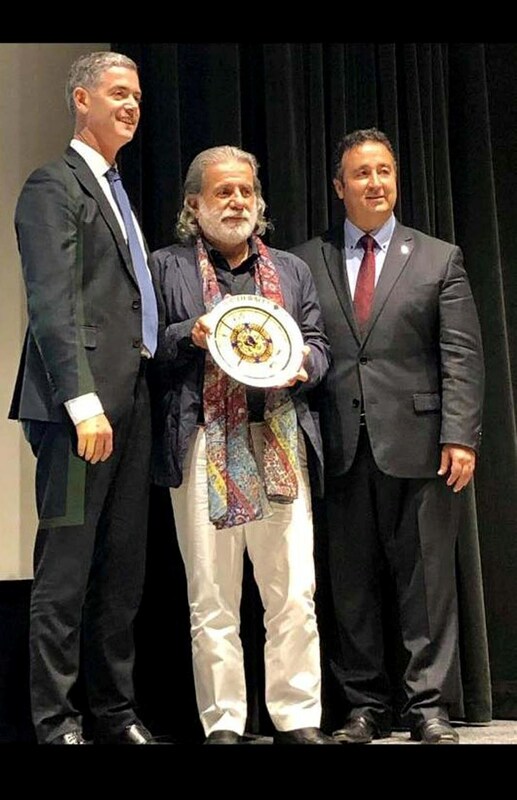 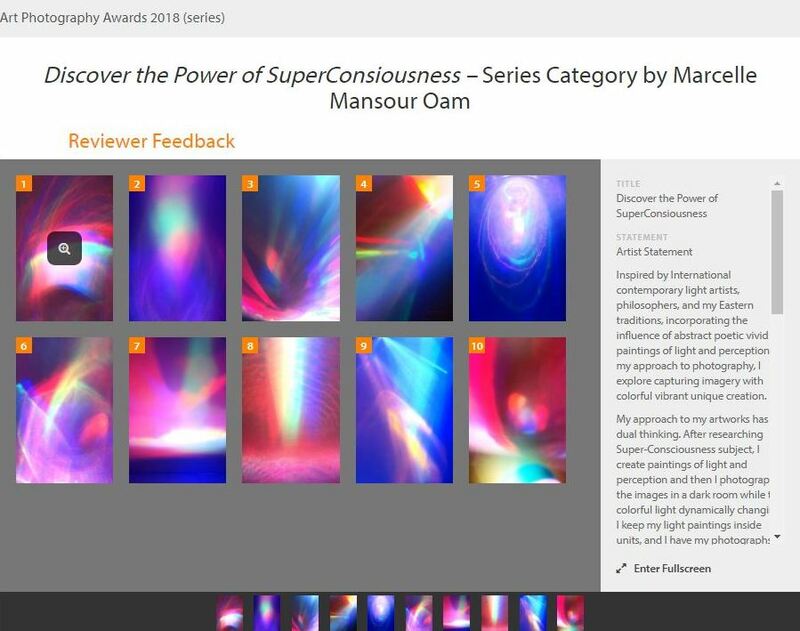 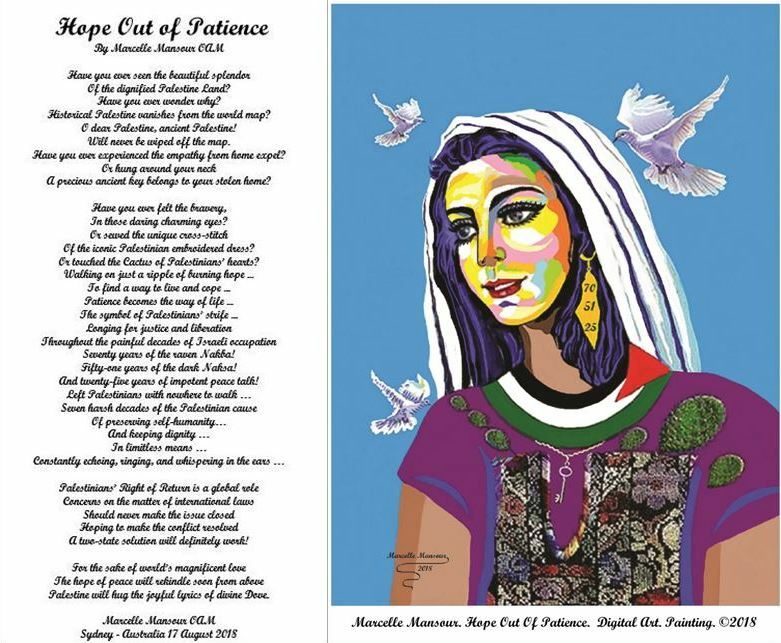 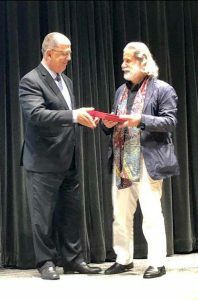 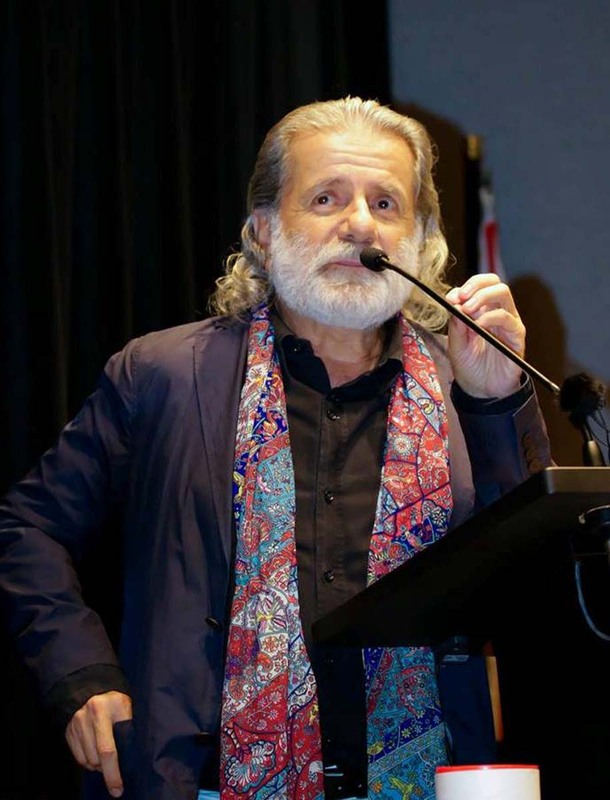 On Valentine Day, 14 Feb 2019, I had the honor to present to the great Artist Marcel Khalife, my artwork entitled “Passport from the Hearts” that reflects the meaning of humanity in the joint work of Composer/Singer Marcel Khalife and the late poet Mahmoud Darwish. 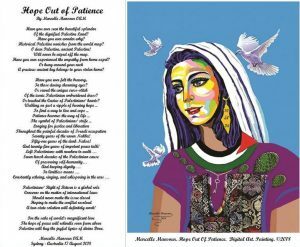 My digital painting is based on his famous poem “Passport” in which he says: “All the hearts of the people are my nationality…So take away my passport!” Thanks to the Hon. 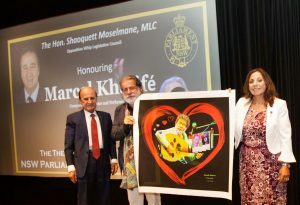 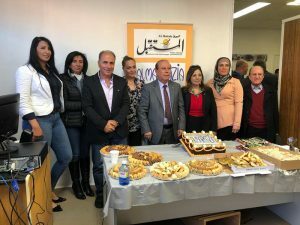 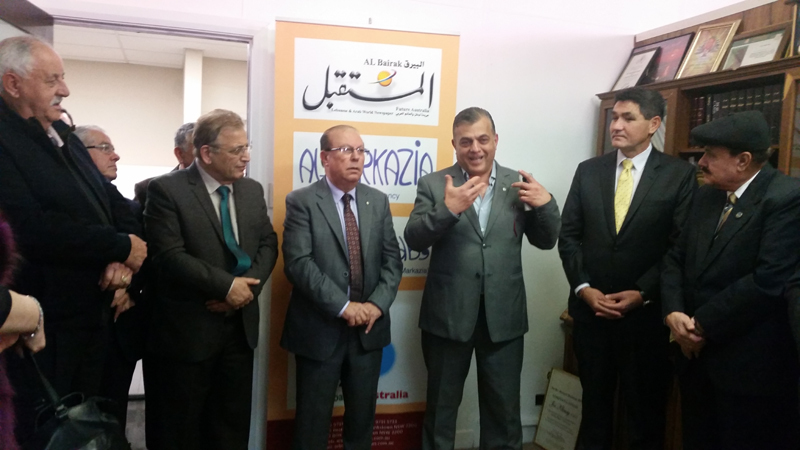 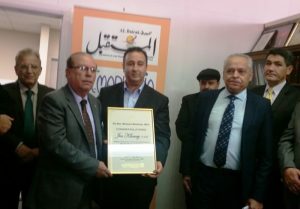 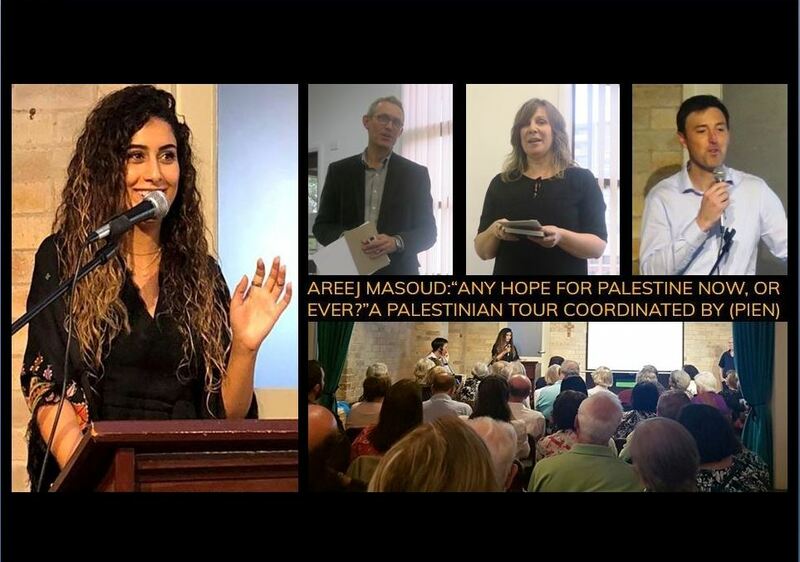 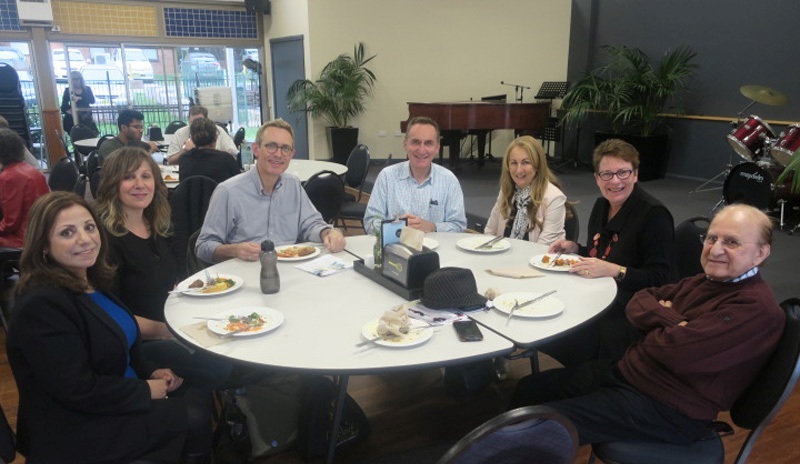 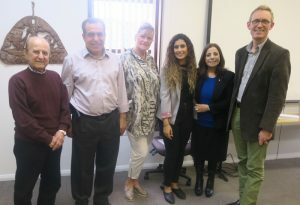 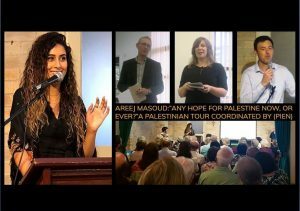 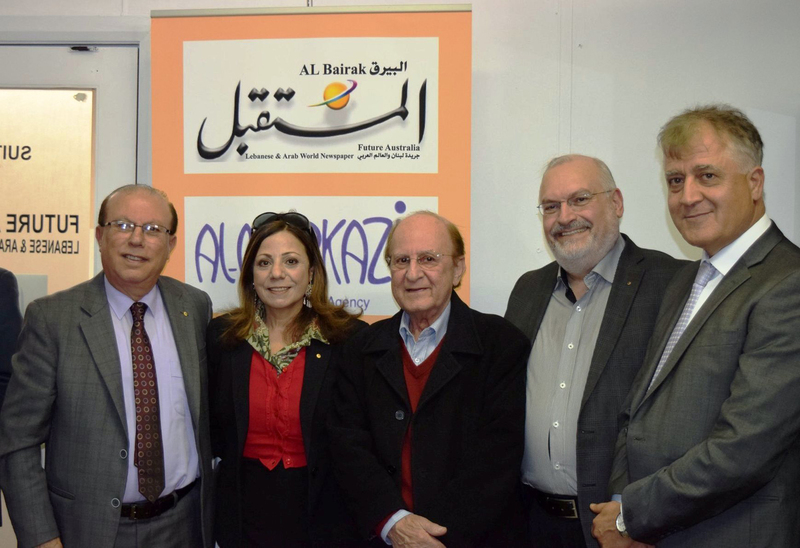 Shaoquett Moselmane MLC for honoring the eminent Marcel Khalife and for the invite. 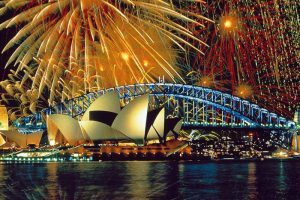 Sydney’s midnight fireworks displays have welcomed the new year 2019 with a series of captivating and record-breaking which wowed thousands of revelers. The fireworks were one of the most complex displays in Australia’s history included gold, purple and silver fireworks pulsating to the tune of (You Make Me Feel Like) A Natural Woman, made famous by Aretha Franklin, who passed away in August last year. According to the media reports: “There was strobe on and off in various colours — red, orange, green, lemon — and they’re very bright so the whole Harbour has lighted up.”Magnificent fireworks were displayed over the Harbour included two new colors of lime and peach that never-before-used in the show while the new technology allowed for the use of more pastel. 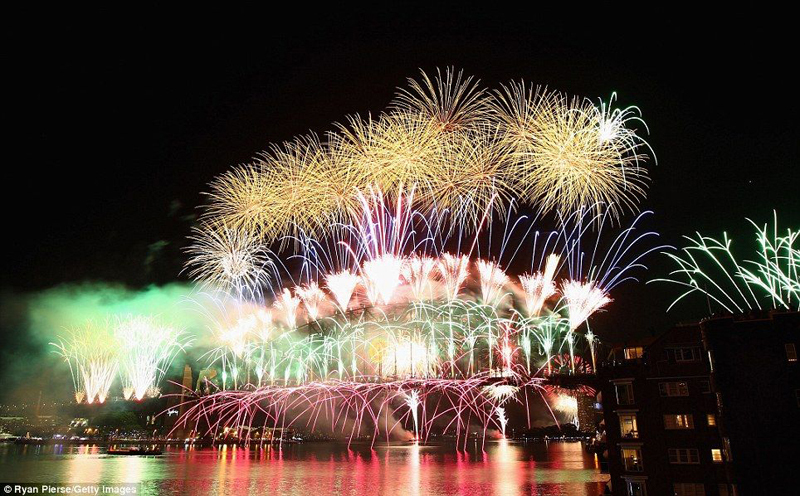 There were also pulsating fireworks representing this year’s theme, the Pulse of Sydney. 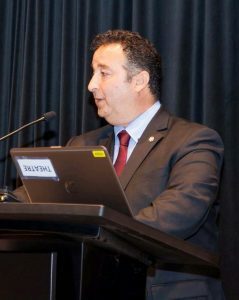 Journalists reported that Sydney Harbour show has used 8,5 tonnes of fireworks and featured more than 100,000 pyrotechnic effects. The celebrated coathanger was decorated with an extra 1000 lighting effects and lit until 1 am while the Opera House had more than 800 fireworks shot from its vessels. The show was the by-product of four months of planning, with 18 pyrotechnic computer coordinators. 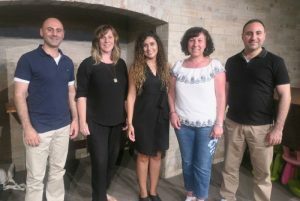 More than one million people braved stormy conditions in Sydney to celebrate the show that was watched by more than a billion people around the world. 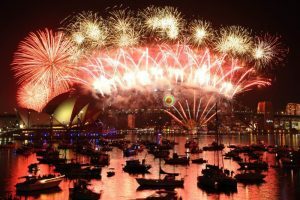 Sydney is one of the first cities on earth to start famous Harbour.“As a spectacular fireworks display lit up the sky at midnight, a giant typo was beamed onto a Harbour Bridge pylon telling the crowd it was still 2018. 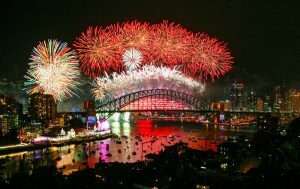 This New Year’s Eve celebration of the fireworks was just awesome. Fireworks light up the sky over the Sydney Opera House and Harbour Bridge in Australia. 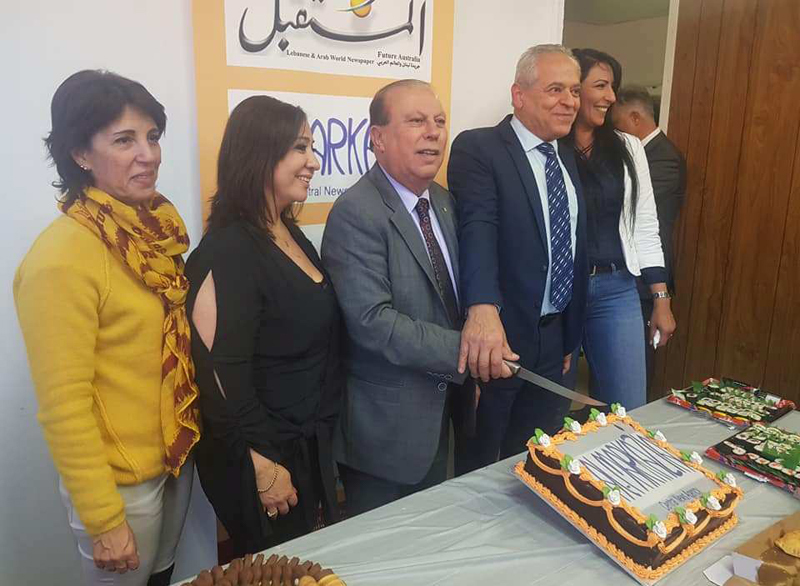 We wish this year of 2019 to bring goodness to humanity, the joy on earth, and peace to the world.